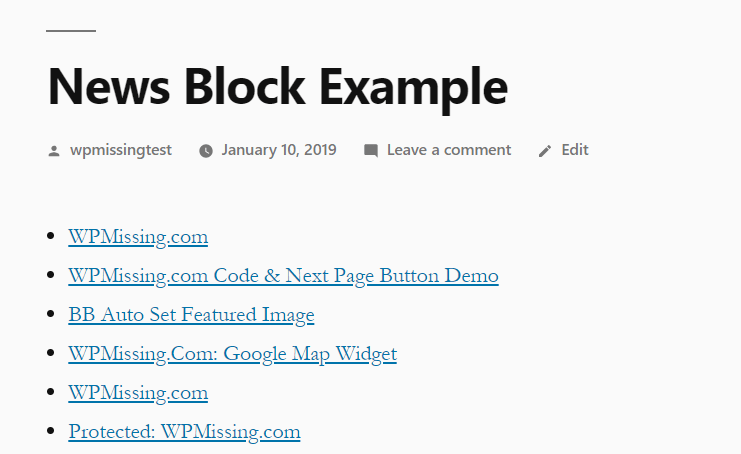 The News Blocks plugin enables you to create the latest post or page lists in the Gutenberg editor. Specify the post type: post or page. 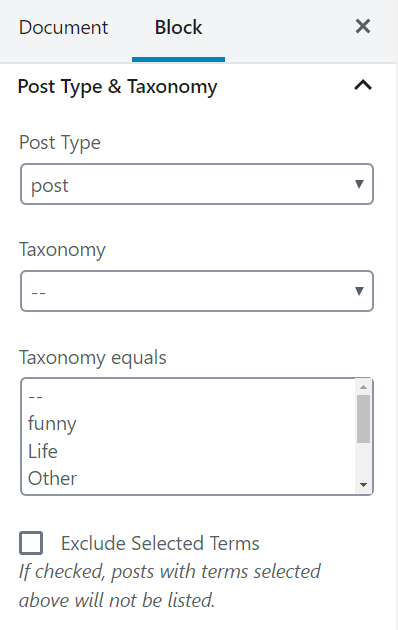 Filter posts or pages by Taxonomy and Author. Specify how many posts should be skipped from the beginning. Specify how many posts or pages to display. Exclude specified posts or pages. 1. Install the News Blocks on the WordPress which has the Gutenberg editor enabled. 2. 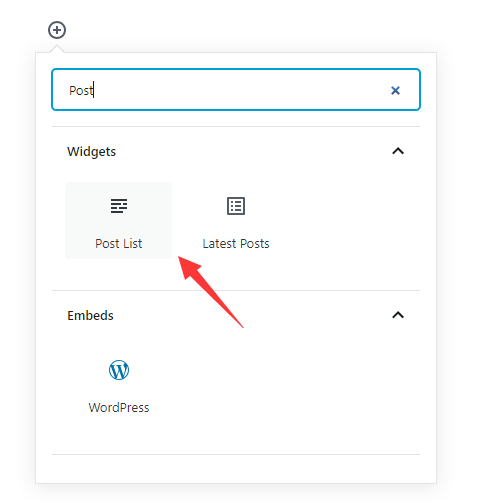 In the post editing page, click the + button to create a new Post List block in the Gutenberg editor. 3. Customize the display option on the right side.